If you see a guy who looks like Simon Pegg around the traps in the near future, that’s because it’s him – the star of Star Trek and Shaun Of The Dead is in our neck of the woods to shoot Kill Me Three Times, the new film from Red Dog director, Kriv Stenders, which began principal photography on Monday. Joining Pegg, who first came to prominence in the brilliant cult sitcom, Spaced, are Alice Braga, Sullivan Stapleton, Callan Mulvey, Luke Hemsworth, Teresa Palmer and Australian screen legend, Bryan Brown. That’s an impressive ensemble in anyone’s language. 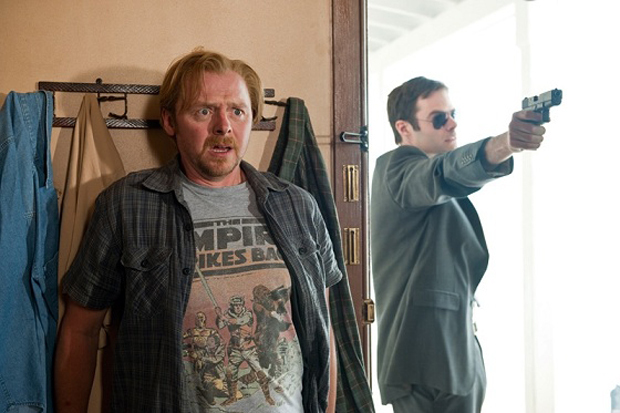 In the film, Pegg plays an assassin hired by Mulvey’s character to kill his wife, played by Braga. Brown crops up as a corrupt cop in what seems to be shaping up to be an enjoyably convoluted neo-noir. Pegg was last on our screens in the top notch The World’s End. you can read our review here and our interview with director, Edgar Wright, here.